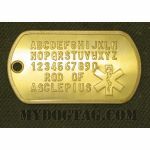 Rusty-Brass Medical Information dogtag with Rod of Asclepius symbol (Star of Life) embossed, ideal to alert medical info. 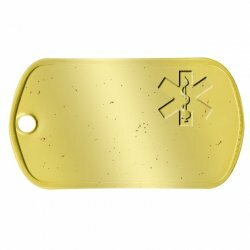 Aged to show speckling of random rust dots. 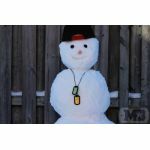 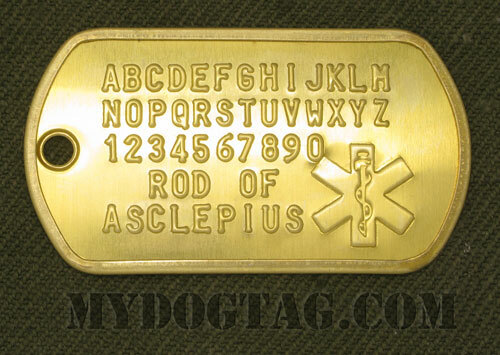 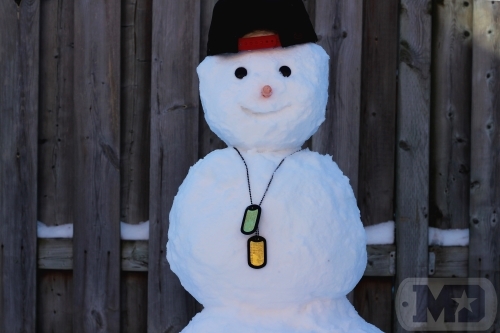 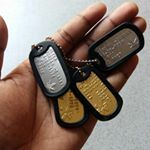 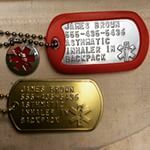 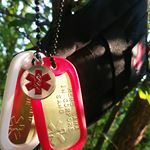 See an example of a fully customized Brass Medical Asklepian Tag as a Medical Condition Alert tag.